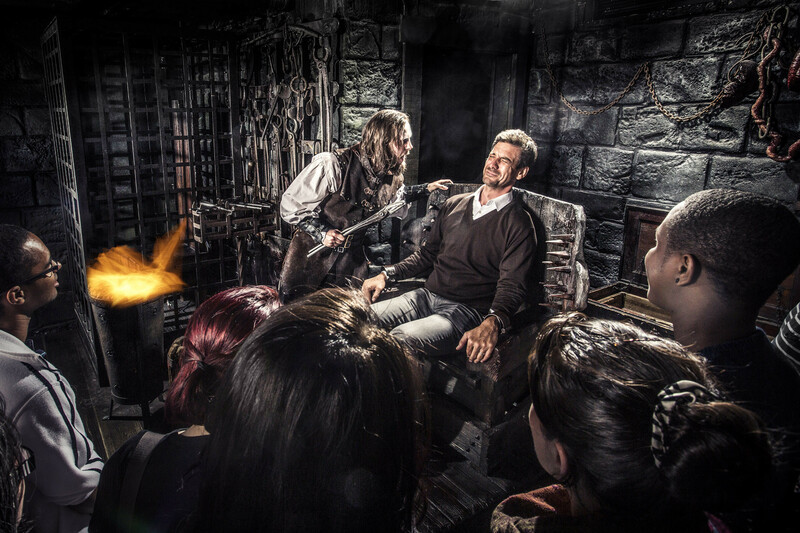 People are fascinated by the macabre aspects of human history, and no place reflects that better than The San Francisco Dungeon. A sixty-minute journey through the city’s past, from the Gold Rush to Alcatraz, it’s a dramatic mix of elaborate sets, special effects, eccentric characters, and superb storytelling. And San Francisco has many a dark story to tell. For example, few people know that the bubonic plague briefly resurged in Chinatown in 1900. It was the first plague epidemic in the continental United States, and while medical authorities recognized it right from the start, its existence was denied by the Governor of California, Henry Gage, for more than two years. The Dungeon tells this story by introducing the audience to The Rat Catcher, a plague doctor with “unique” methods of examining and curing victims of the plague. Find out what it was like to be a federal prisoner at Alcatraz in 1915 by meeting a stern but dedicated prison guard. Guests will then get to experience the exhilarating thrill of jumping off “The Rock’s” famous cliffs with the Escape Alcatraz ride. “We have the only underground drop ride in all of North America,” Gunter says proudly. While not remarkably high, it’s enough to give a stomach-dropping experience to add to the tour. Or they can visit Miss Piggott’s Saloon, but best beware of getting shanghaied, which is when sailors were drugged and kidnapped, then sold onto ships for labor. “A lot of people don’t know that shanghaiing started here in San Francisco,” says Gunter. After getting a spiked drink from the saloon owner, guests will be led down a secret passage to the wharfs by her partner, Shanghai Kelly. Known as the “King of the Crimps,” he and Miss Piggott were some of the most notorious kidnappers of the 1870s. Don’t think that just because it’s staged that the audience is safe, though. “We’re taking you and putting you in that story,” Gunter says. 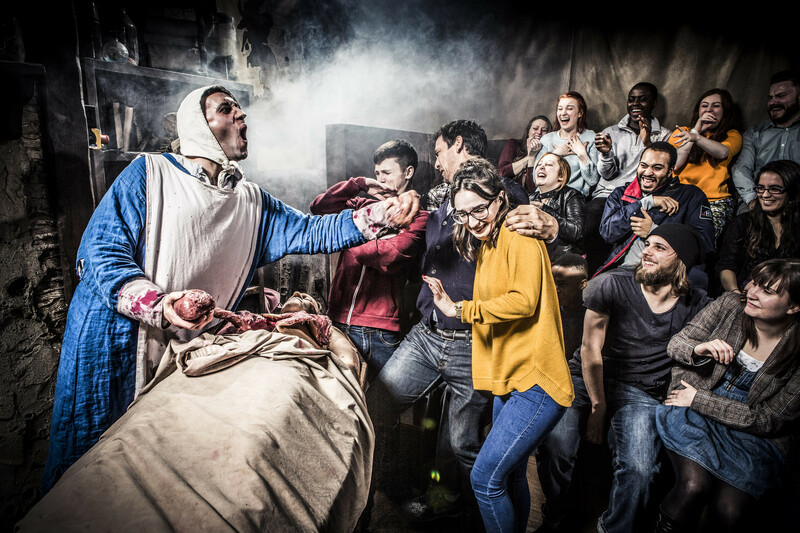 “Audience members can expect to be pulled into the action at every corner.” From getting “cured” by a plague doctor to demonstrating torture techniques to being put on trial by a judge simply for not liking the way they’re dressed, anyone who enters the Dungeon had best be on their guard.